I’m a lover for all things hair! It’s only right that I have a few hair crushes that I’ve admired over the years for their unique hair qualities and styles. My celeb hair crushes have all inspired me to believe healthy hair is possible and to encourage others to believe the same. Sanaa Lathan has been one of my hair crushes ever since she starred in Love and Basketball! Looking at her thick relaxed hair primarily convinced me that Black women could have healthy relaxed hair. I always admired the density and overall health of her hair. 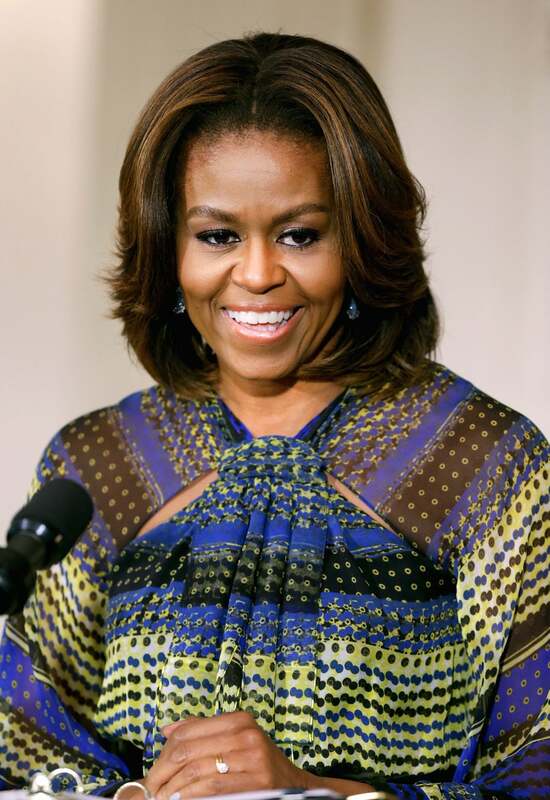 From day one I adored the First lady’s relaxed hair! Her silky smooth hair never disappoints! Her hair is filled with movement and never gets weighed down. I love her elegant styles and volume in her tresses. She’ll always be one of my favorites. Over the years, I’ve been following Antonia Wright and her beautiful head of hair. I’ve always been captivated by her top-notch weaves and extensions; however, I was blown away to see that her real hair was just as beautiful. I love her length and her ability to retain length through consistently protective styling. Her natural, “eye-catching” hair has definitely inspired me over the years. When photos of Oprah’s afro went viral, my mouth literally dropped wide open. 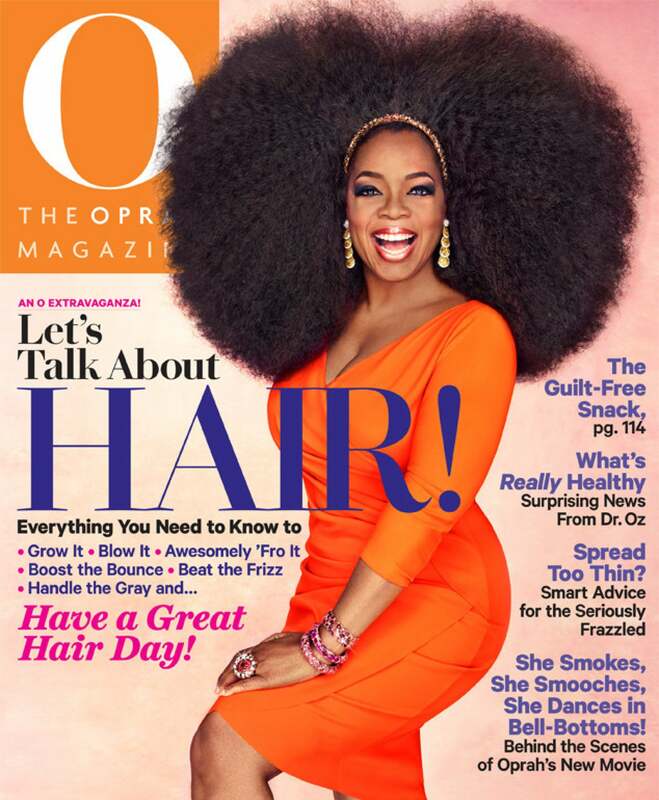 I never knew Oprah’s hair was so incredibly thick and long! Back then, I was a newbie in my hair journey and her hair truly inspired me to increase the thickness of my tresses. According to her celebrity hair stylist, Andre Walker, Oprah’s hair isn’t relaxed to the point where it’s bone straight. A lot of texture is left over in her hair for a more natural textured look. This is one of the reason I don’t relax bone straight. Dating back to the Cosby Show days, I’ve always admired and drooled over Rudy’s hair. Who wouldn’t? thickness and length has always been a dream of mine as a little girl. Even though she primarily wears her hair straight, it’s so healthy and full of shine. Keisha is an advocate of healthy hair care and has shared great tips on how she manages to keep her hair healthy. Love her! Valerie Bremang founded Hairlista.com Social Network in 2008 as a platform to educate, inform and encourage women that they can achieve healthy hair.